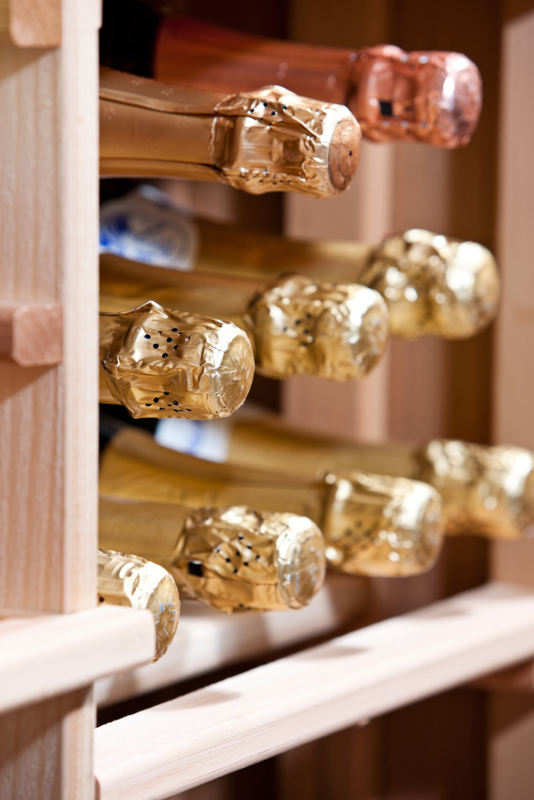 What is the best way of storing sparkling wine? From 2 of the top sparkling producers in the US, I have gotten 2 1/2 answers. What is the best answer? No, not the diapers (though diapers do have a place in the wineaux arsenal). It depends on what the wine is, and your plans are for it. But let’s start with the basics of wine storage. Many of you, no doubt, are at least aware of the basics of wine storage. Wine is best stored in a cool, dark place. With most of the wine that most of us will drink, that is all. For long-term storage, — let’s define that as anything you don’t plan to have within the week — that place should have decent humidity and very little fluctuation in temperature. And of course, the bottles — in most cases — should be kept horizontal. In most cases. But what of sparkling wine? To answer Alan’s question, Your Private Wineaux went to the authority on sparkling wine: the Comité interprofessionnel du vin de Champagne (CIVC), the trade organization of growers and houses in Champagne. A study undertaken between 1986 and 1992 by five Champagne houses, and a 1995 follow-up study done under the auspices of the CIVC Technical Services Group concluded that “the mechanical properties [of the cork] are best preserved when the bottles are standing up.” The corks from bottles stored upright retained elasticity and maintained a tighter “grip” in the bottle: corks in standing bottles required more strength to remove, while those from lying bottles were easier to extract. Corks from standing bottles also were less likely to show penetration of the wine and more likely to return to the classic mushroom shape than those in horizontal bottles. No direct exposure to sunlight, noise or excessive vibration. In other words, the very same rules that you apply to all of your other wines. The orientation, however, is entirely up to you based on your own storage needs or technical constraints. And how do you store an unfinished bottle of Champagne once it’s been opened? Once I find an unfinished bottle of Champagne, I’ll let you know.